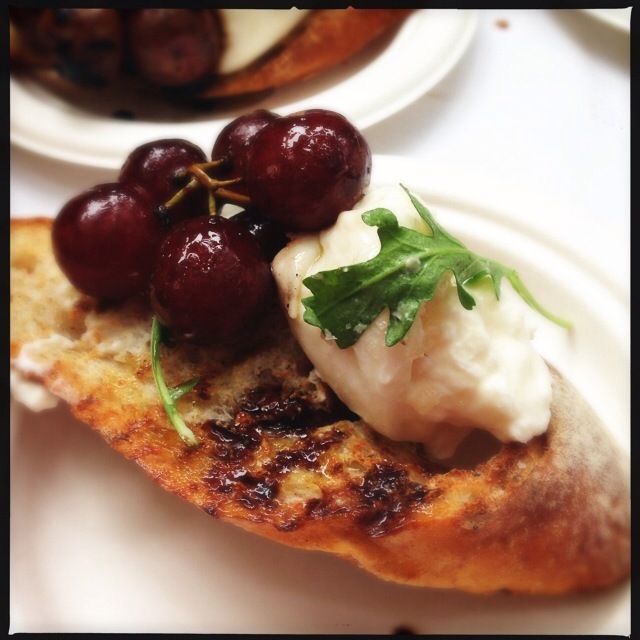 Stella Barra’s wood fired grapes, local burrata and homemade bread. Loved how the wood fired grapes lent a savoriness to this simple veg dish. Angeleno Magazine’s annual Live & Dine L.A. is one of those can’t-miss food fests. Noshing and imbibing at the elegant Fairmont Miramar in Santa Monica. Just check out last year’s highlights. This year’s fest, however, was smaller and relocated back under the grand old fig tree. Just as well since the line to get into the Bungalow, which hadn’t opened yet last year, took up a huge part of the parking lot that last year featured the Coolhaus truck, a beer garden and a stage. For the 2013 Restaurant Issue, the restaurant awards were replaced by the “Foodie 50,” Angeleno Magazine’s pick for the top 50 “exciting new eateries.” So the food fest featured restaurant favorites like Bestia, Fishing With Dynamite, RivaBella and Littlefork. 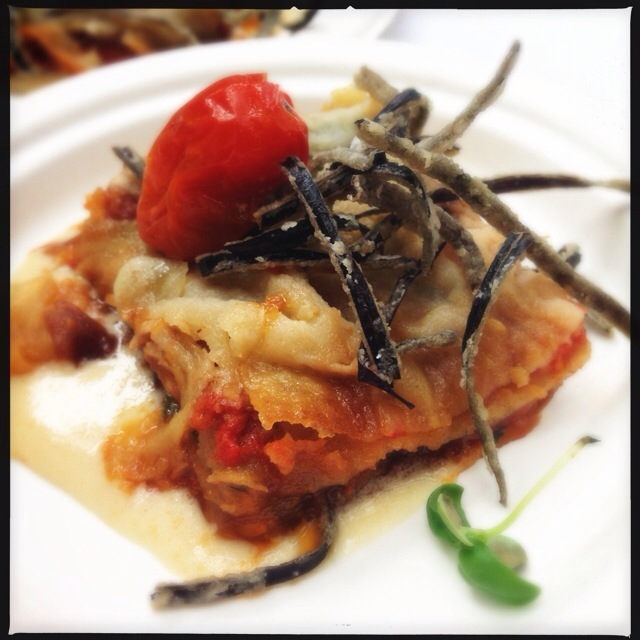 Alas, the chefs showcased their best meat and fish dishes. And if I ate meat I would have been all over Hinoki & The Bird’s lobster roll with charcoal powdered bun and Mercado’s verde tamale (which was made with lard). For vegetarians, the pickings were slim, but what was available was delicious! And I didn’t mind going back for seconds and thirds. 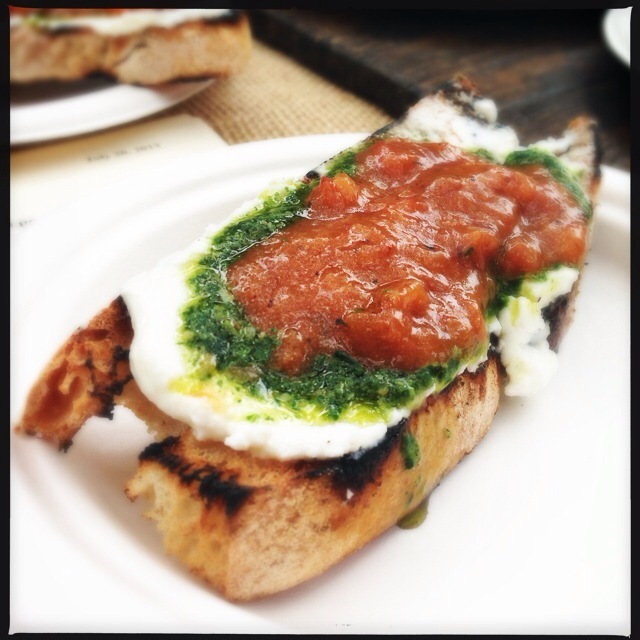 Anyway, here were my favorite vegetarian bites (and sips) from this year’s Live and Dine LA: Stella Barra‘s wood fired grapes and local burrata, Circa MB‘s Richard Pryor bottled cocktail, RivaBella’s eggplant parmigiana, Rustic Canyon‘s goat cheese and peach jam crostini and more. 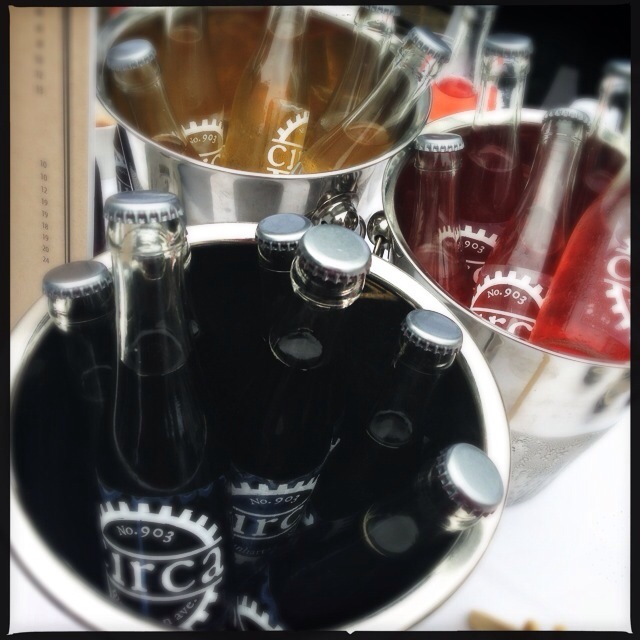 Circa MB’s bottled cocktails: Richard Pryor, DePeche Mode and Carrie Bradshaw. My fave was the Richard Pryor made with El Dorado 5yr rum and smoked Coke. 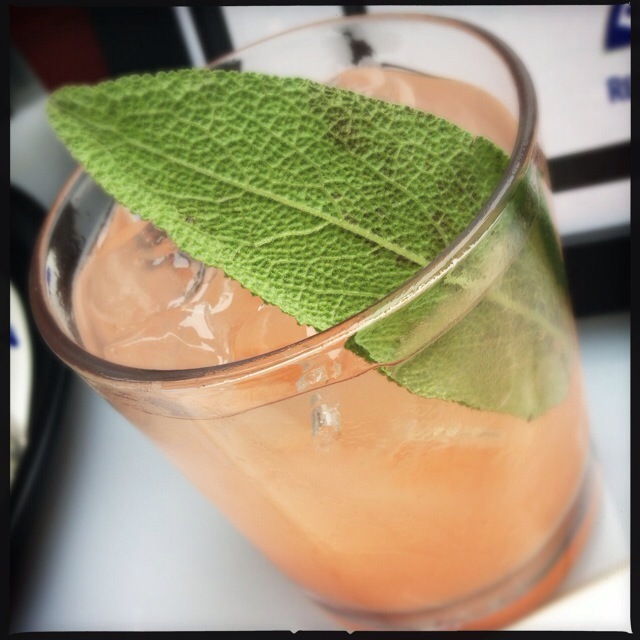 Brugal Summer Hound, a simple and refreshing cocktail of Brugal Rum, grapefruit and soda. Rustic Canyon’s goat cheese and peach jam crostini. 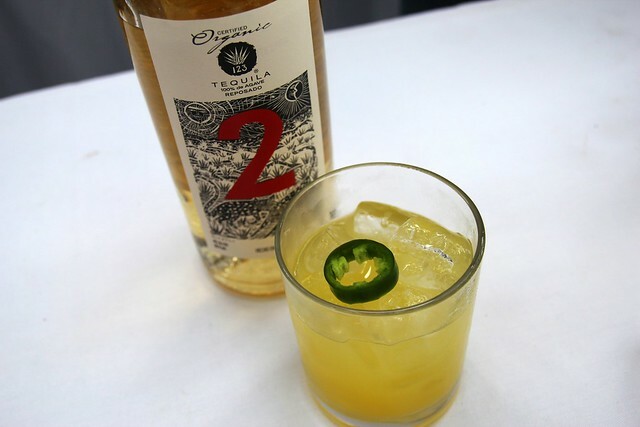 Tequila 123 Jalapeno margarita was made with reposado so the tequila came through. And I loved how the spiciness of the jalapeno didn’t dominate the drink. Really well-balanced. 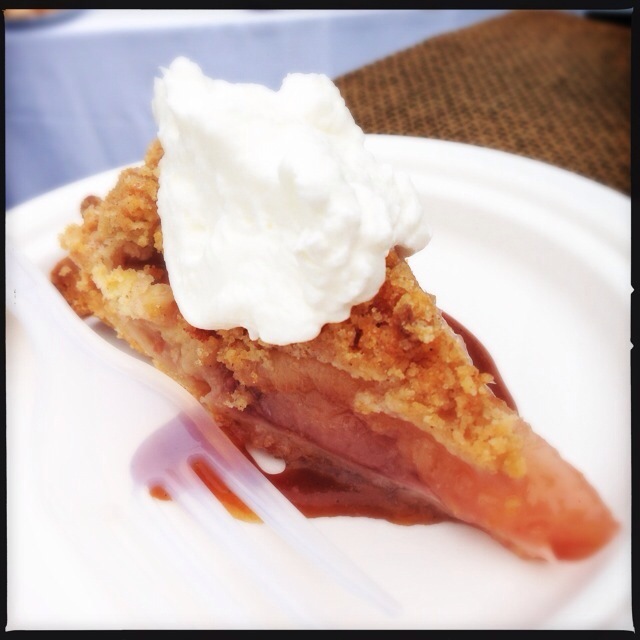 Cooks County featured a slew of its delicious pies but their peach crumble stood out.